Windows: Move your mouse to any corner to quickly see all your open windows, your desktop, or even start your screen saver. 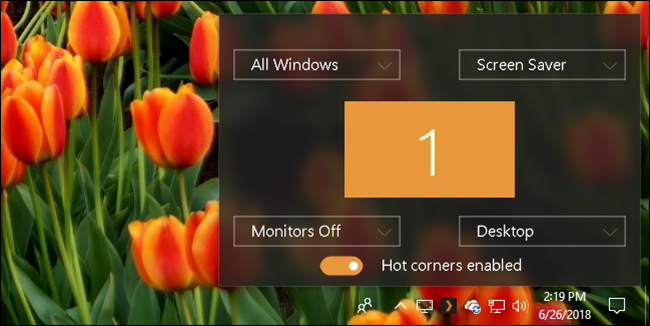 It’s called Hot Corners, and it’s a feature many Mac users love. 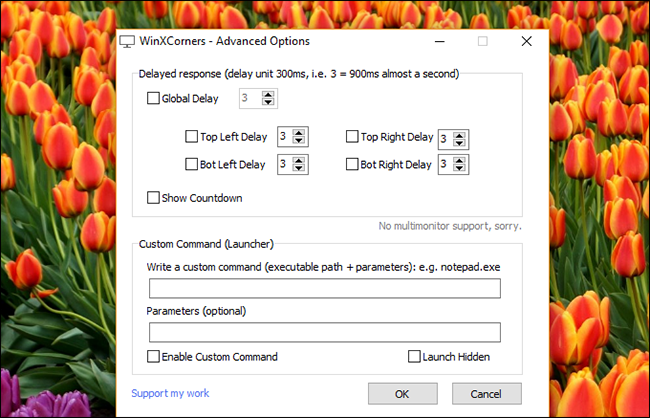 Windows 10 doesn’t offer it, however, unless you install WinXCorners. Download and run this portable application and you can assign actions to all four corners using a tray icon, as shown above. This isn’t a new app by any means; we just found it today and thought it was cool. The beta version, which is admittedly a couple years old, even lets you assign custom commands, meaning you could use this to launch any application you can dream of. Give this a shot—you might like it. Let us know if there are any other macOS features you’d like to see on Windows, because we’re pretty good at tracking that sort of thing down.